Do you want to dominate the racing world in Eat My Dust? Then you should look up to some of the fastest racers in the world! Like your racing machine in Eat My Dust, the Formula One car is a high-speed prototype that is focused on performance and advanced technology. However, these teams and drivers will not be so successful if it were not for their persistence and constant practice. 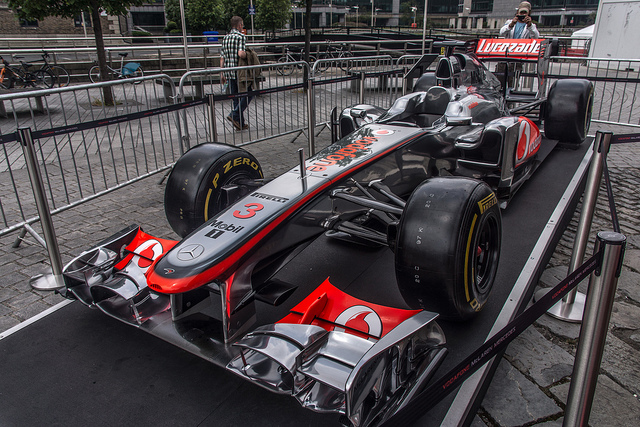 Check out the most up-to-date Formula One ranking and see what it takes to become a world-class racer! Running in top place right now is this indestructible team from Austria! 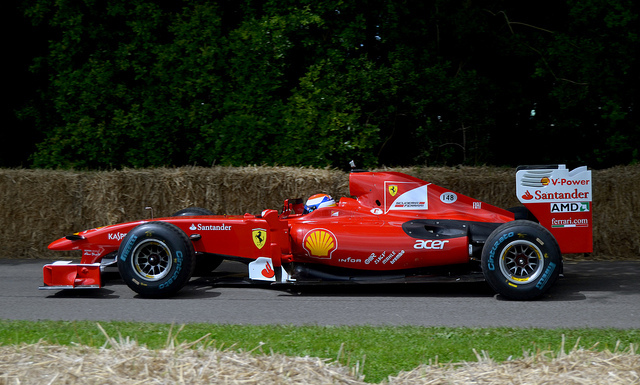 Established in 2005, this team consists of two renowned racers – Sebastian Vettel and Mark Webber. 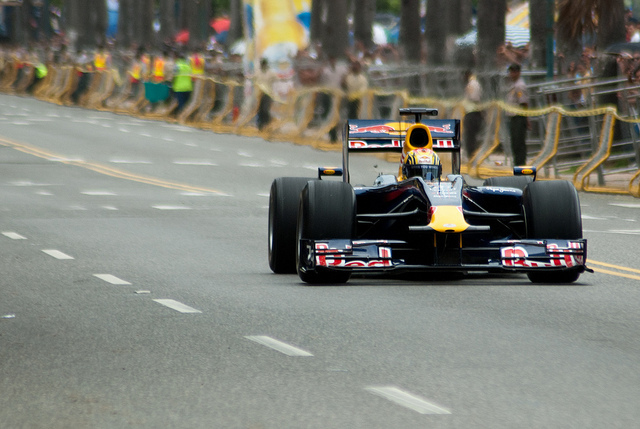 Vettel, a German native, is also crowned first place in the recent grand prix that occurred in Singapore. Webber, an Australian native, did quite well too, earning fifth place in the same championship in Singapore. Hailing from Italy, the Scuderia Ferrari team is probably the most successful team in the history of Formula One – winning 16 Constructor Titles, which is specifically awarded to the person who created an engine or chassis that performed outstandingly in a race, and 15 Drivers Titles, which is awarded to the most successful Formula One racing car driver in one season. The current drivers of the team are Spanish native, Fernando Alonso, and Felipe Massa, a Brazilian native. This team used to be the home of the legendary Michael Schumacher, who won the title of World Champion with Ferrari for five consecutive years, from 2000 to 2004. The debuting year of this team marked one of their most successful moments of the team’s history. In 1954 alone, their former driver Juan Manuel Fangion, won the French grand prix and the drivers championship. They are back with a re-branded team for Formula One in 2010, hiring Michael Schumacher as their driver. In the most recent season, the team’s drivers are British native Lewis Hamilton, who placed third in the recent grand prix, and German native Nico Rosberg, who got sixth place. The team’s first Formula One season was back in 1981, and the cars are proven to be a good fit for most circuits and conditions in grand prix. The latest driver line-up is definitely one of the highlights of this team – consisting of 2007 Formula One Champion Kimi Raikkonen, who won the fourth place in the recent grand prix in Singapore, and Romain Grosjean, a GP2 Series Champion who took home eighth place in the recent race. They are both French natives. Since 1966, this team is known for their relentless effort to ensure that the cars evolve with technology and to produce the fastest car in the world. The specifications of the cars will never be the same in each race and they are constantly striving for a better racing machine. The two drivers of this team are both in the top 15 positions in the most recent grand prix. They are Jenson Button, a British native, and Sergio Perez, a Mexican native. Now that you have learnt a little bit more about Formula One, the teams and the drivers, what team and which driver is your favorite? Log into Eat My Dust, today, and start polishing your techniques and skills to match up with these top-notch racers!